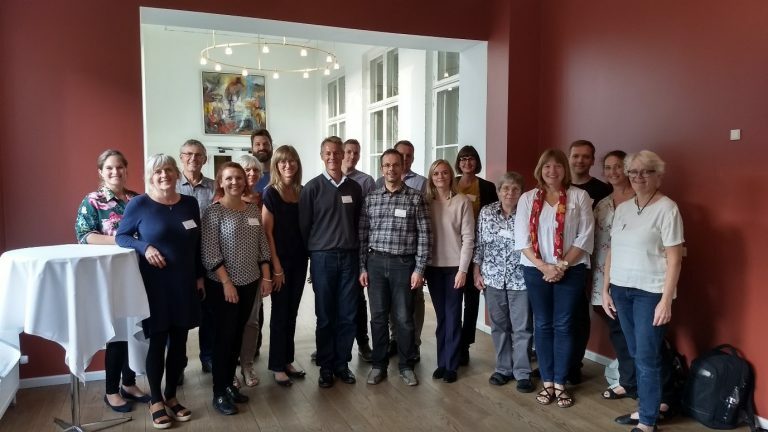 Nordic Insect workshop focusing on development of insect production for feed and food was arranged by DTU and Nordic Working Group for Microbiology & Animal Health and Welfare (NMDD) In Roskilde, Denmark. Evgheni Ermolaev from our group and Bettina Julin from the Swedish National Food Agency represented Sweden at the meeting. At the workshop each country representatives discussed the current status of national legislations regarding insect production for food and feed purposes. In Sweden the current interpretation of the novel food regulation does not allow any insects to be reared for food production. A different interpretation of the regulation in Finland and Denmark allowed consumption of whole insects. However, this regulation has been amended to clarify that insects (including whole insects and their parts) must be registered as novel foods. The new regulation entered in force from 1st of January 2018, and in the transition period insect producers are encouraged to apply for novel food registration of their products, and are allowed to continue their production activities started prior to new regulations until a decision about novel food registration has been taken at EU level. Once a novel food is approved, it will be allowed for consumption at all EU member states and anyone is allowed to start producing these insects unless data protection has been requested. In that case there is a 5 year delay before the novel food production process details are made public. During the discussions at the workshop it was established that there is a need to have at least three separate tracks when discussing with law makers: insets as food, insects for feed production and insects for technical use (non-feed and non-food). This is necessary in order to develop a clear terminology, but also to be able to address the different needs each of the three directions of insect use may have. For instance, in Sweden it is two different agencies that regulate insect use for food and insect use for feed production, Swedish National Food Agency and Swedish Board of Agriculture, respectively. After the workshop collaborations and discussions will be continued and the Nordic Council of Ministers will be involved. They will contribute to the development a Nordic insect roadmap, which is aimed to simplify the implementation of insect production in the Nordic region. Updated 2018-11-07: The post previously wrongly indicated that Novel Food regulation 2015/2283 will enter in force from 1st of January 2019. The date was corrected to 1st of January 2018.